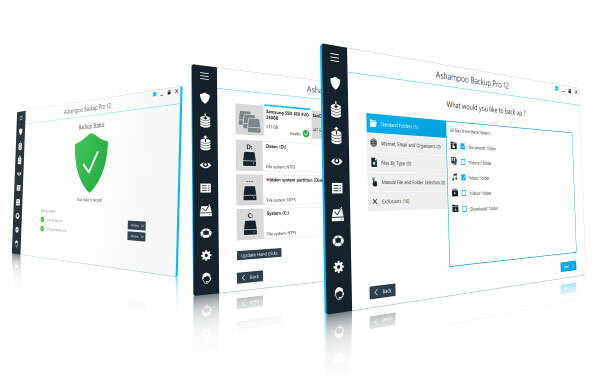 Are you looking for an easy to use yet powerful backup software? 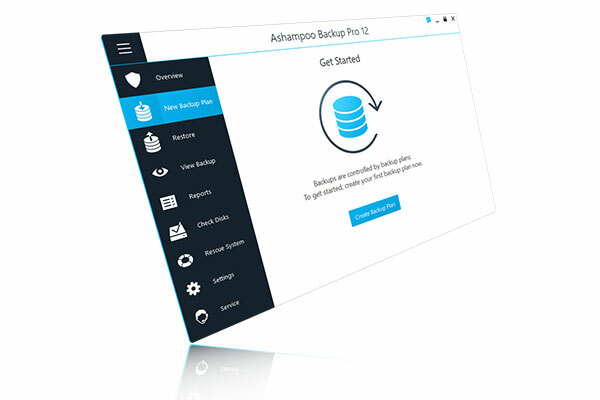 Ashampoo® Backup Pro 12 takes the fear out of viruses, ransomware and Windows errors! 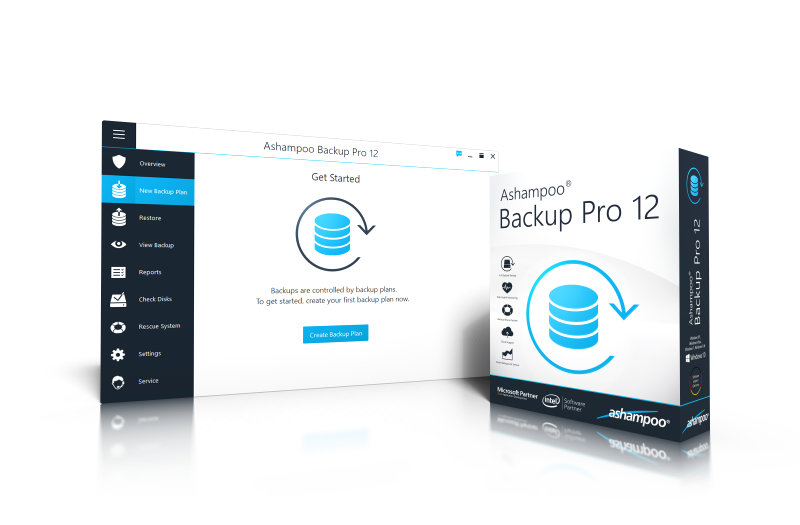 The new Ashampoo® Backup Pro 12 gives you various options to backup individual files or entire disc partitions either on any storage media or in the cloud. Everything happens in the background and the program is light on system resources. Even in the event of a total system failure, the integrated emergency application can bring back your system! Disk failure can destroy your backups! That's why Backup Pro 12 supports disk health scans including SMART data! This enables the program to warn you of impending drive failure and gives you time to act before disaster strikes! Additional in-depth drive and partition scans detect corrupt data blocks and relocate the affected files to preserve your data. Internal or external - the new hard disk diagnosis feature ensures your data stays safe, always! For backups to be useful, they have to be easily accessible and usable. That's why Ashampoo® Backup Pro 12 provides a dedicated viewer to access your files without having to restore them first. File access happens in a secure container to prevent unwanted modifications and preserve the integrity of your backups! 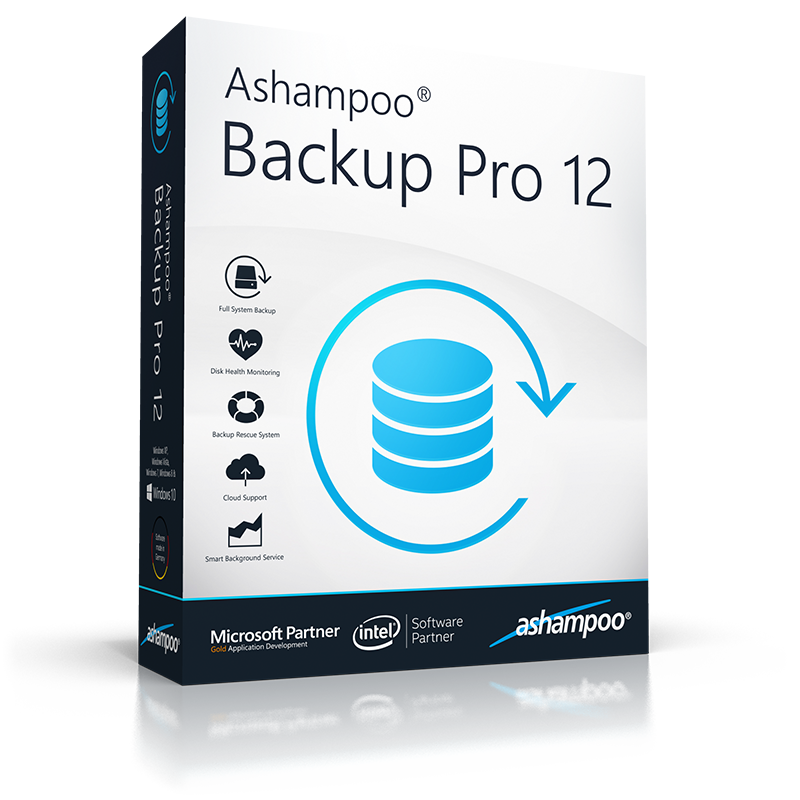 Flexibility is king in the new Ashampoo® Backup Pro 12. That's why there's no more limit to the number of supported cloud service providers! Another welcome addition is support for OneDrive Business / Office 365, Owncloud and Nextcloud. Now, you can work independently of your local storage devices! This not only applies to regular files but also includes entire drive backups! Dropbox, Deutsche Telekom, Google Drive, OneDrive, Strato, 1&1 and many others are also fully supported. Errors will be made - but not on your PC! System updates are important but often faulty. At worst, a Windows update is so broken that it shuts down your PC or causes data loss. If that happens, it's one of those "Yesterday, everything worked fine!" moments - and that's exactly the state Ashampoo® Backup Pro 12 will revert your machine back to! There's no more need to fear security software or Windows updates, you're safe now! Many competing products require you to trigger the backup process manually, and, once triggered, the process will then often cause noticeable system slowdowns. 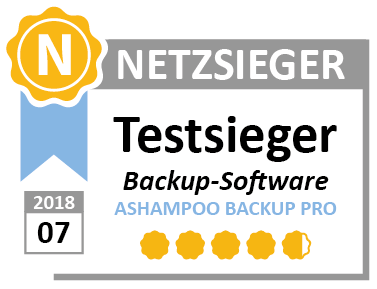 Not so in Ashampoo® Backup Pro 12! You won't even notice when the program is performing scheduled backups. It's a continuous process that takes place in the background without disturbing your work, as it should be! 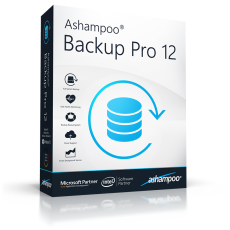 Ashampoo® Backup Pro 12 constantly analyzes your processor load and only springs into action when enough processing resources become available. It's like an invisible assistant that performs caliber work behind the scenes!